Can you be a Lessee or Lessor? Belize seems almost all green from an aerial view. 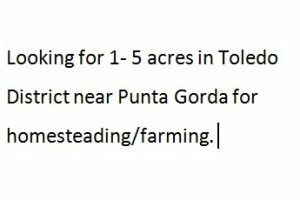 Yet many can say that they do not have a piece of land to farm or build a home in Belize. 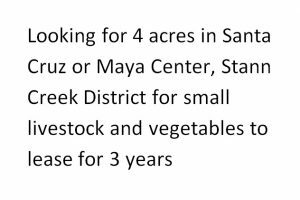 We are hoping that this page will help in changing this situation and offer opportunities to those who are looking for land and those who have to share. Crown land for lease is practically no longer available. 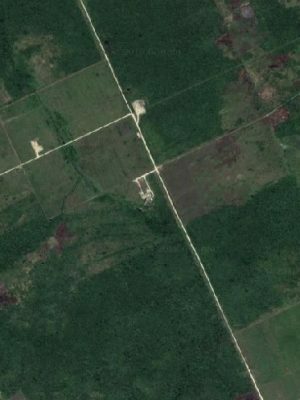 Most Belize land is either privately owned, leased by the Government or reserved under Conservation Acts. Leaseholders of crown land cannot sub-lease or mortgage without permission from the Government and this is rarely done. The result is many leased plots being poorly developed or held in waiting for speculators and grabbers. Private properties that are not in use or minimally developed are often the subject of cash flow problems or other family difficulties. In some cases, ownership disputes leave no one in charge and eventually the property seems abandoned. If you can prove your ownership and wish to consider leasing your property or a designated portion of it, submit your Lessor Application Form to see how it can work for you. If you are leasing from the Government and can convince the ministry to grant permission to sub-lease, attach your permission and we will gladly add your submission. Looking for somewhere to settle but cannot find or afford to purchase land, then take a look at what is being offered or submit your Lessee Application Form to search for a match. 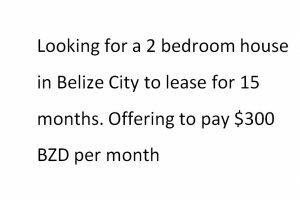 Be sure to read the Belize Land Law regarding leasing land in Belize. 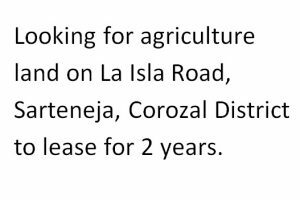 Also see the application to lease or sub-lease form to register a lease that will be for a period of two years or more with the Ministry of Natural Reosurces. .The application can be renewed or cancelled with this application to terminate lease form. Your opinions and comments are welcome. Kindly post below. 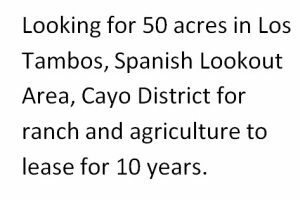 160 acres in Cotton Tree Village, Cayo District to lease. Rate negotiable.